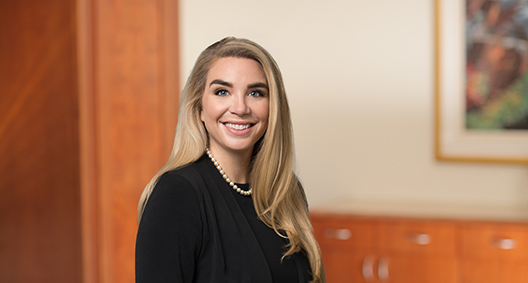 Arielle Brown’s insight into the complex and fast-paced field of privacy, cybersecurity, and data management makes her a trusted counsel for clients of her developing privacy and data protection practice. Arielle regularly advises clients on a wide range of domestic and international communications and privacy matters, including compliance with the California Consumer Privacy Act (CCPA), General Data Protection Regulation (GDPR), Personal Information Protection and Electronic Documents Act (PIPEDA), Telephone Consumer Protection Act (TCPA), Telemarketing Sales Rule (TSR), CAN-SPAM, Video Privacy Protection Act (VPPA), Children’s Online Privacy Protection Act (COPPA), Gramm-Leach-Bliley Act (GLBA), and Federal Credit Reporting Act (FCRA). A Certified Information Privacy Professional (CIPP/US) by the International Association of Privacy Professionals, Arielle helps clients of all sizes navigate complex data protection issues around the globe, offering practical, actionable advice tailored to fit each client's privacy and cybersecurity needs. Develops and implements CCPA and EU GDPR compliance programs for U.S. and international organizations. This includes advising clients on data mapping, data transfer mechanisms, data subject request response and procedures, data protection impact assessments/privacy impact assessments, recordkeeping, the appointment of privacy officers and representatives, and employee training. Drafts and negotiates data protection/data processing agreements regarding the handling of personal data. Advises on compliance with international data transfer restrictions and data localization requirements, including the implementation of cross-border transfer mechanisms such as the EU-U.S. Privacy Shield Framework, standard contractual clauses, intercompany agreements, and binding corporate rules. Drafts and negotiates privacy and data security provisions for commercial contracts, including service provider agreements. Prepares and implements employee training programs, including training programs for compliance with the GDPR, CCPA, and U.S. marketing laws and regulations. Drafts external and internal privacy and data security policies and procedures, and assists with creating the protocols necessary for implementation. Advises on the remediation of privacy and data security deficiencies and gaps in legacy vendor contracts. Assists with M&A due diligence relating to data privacy, including reviewing and assessing the current compliance posture of target companies and providing advice on the level of risk associated with the transaction. Advocates on behalf of clients in licensing and regulatory matters before the Federal Trade Commission (FTC), Federal Communications Commission (FCC), and National Telecommunications and Information Administration (NTIA).